If the Arizona Coyotes’ woes continue, one thing may not happen. Among conditions which may suffer is low attendance for home games at Gila River Arena, drop in local television ratings and loss of revenue from potential corporate sources. 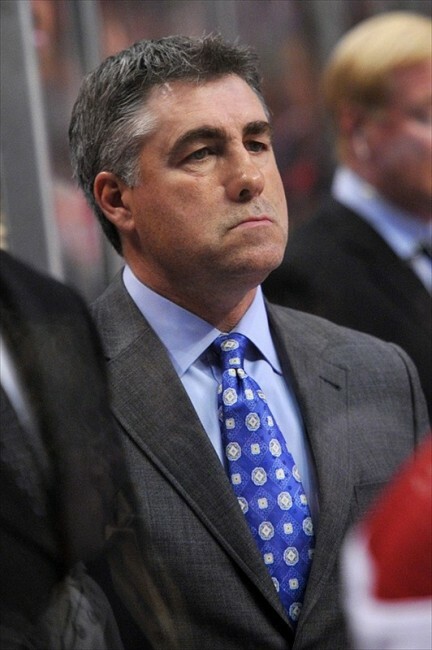 What will not likely change is coach Dave Tippett behind the bench. A proud man with a strong hockey heritage, Tippett seems to bite his tongue these days and protects his players through carefully measured words. If Tippett were to unleash his views and status of his club, management would either come down hard or show him the nearest exit. Now, Tippett seems to weather the current stormy period. The poor results to date are not totally unexpected at this portion of the season. The issue here is time. Less than three weeks into the season, the Coyotes are dreadful and goalie Mike Smith, upon whom the team banked its chance to improve this season, has been pitiful. Coming into play Thursday night against the Panthers in south Florida, the Coyotes are sitting in the basement of the Pacific Division and their 21 goals scored is second-worst in the Western Conference. Only Nashville, with 19 goals scored, is lower. Plus, the eight standings points remains among the lowest in the NHL. Only Carolina and Buffalo have fewer points and the Coyotes are tied with the Panthers with those eight points. To exacerbate the Coyotes’ current standing, the production of captain Shane Doan and center Sam Gagner remains under the microscope. Through Tuesday’s loss to the Lightning, Doan has one goal on the season and Gagner two assists. Both said before the current four-game road trip the season is early and production will increase. If there is one player which Tippett has placed under that microscope, it is Smith. Perhaps the best word to describe his play, so far in the 2014-15 season, is unreliable. From yielding four, first period goals in the opening game of the season to the Jets to being pulled after allowing six goals against the Lightning earlier this week, Smith’s play is hardly worthy of Vezina consideration. While Tippett can turn to veteran Devan Dubnyk, the desire is to let Smith work out his maladies and duly recover. Yet, Tippett does not have the luxury of time. That’s because the Western Conference to so competitive that any lapse in time will push the Coyotes further in an abyss. Prior to Thursday’s game with the Panthers, they are nine standings points behind the Pacific-leading Ducks and out of any playoff consideration. While Tippett’s job may not be in question, individual players need to step up their game. Aside from Smith, defenseman Keith Yandle’s play in is own end needs improvement. Despite the glory of his offensive game, Yandle is a defensive liability. Last season, the Boston native topped the Coyotes with a minus 23 and through the opening eight games, he stands at a minus 1. Of all players on the 23-man roster, only left wing Mikkel Boedker is in the plus column, plus one. Defenseman Oilver Ekman-Larsson, once thought as a Norris candidate, leads the team with a minus 11. To be fair, Tippett can work only so much magic. While his disdain of losing is evident and his words short after losses, the coach is not is not the answer here. Tippett has been dealt a hand of marginal hockey players and, to his misfortune, we see the results.